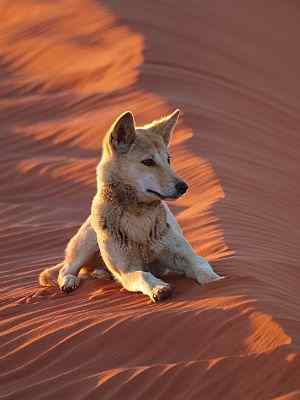 In July 2019 we are running our popular 4wd tag along tour along the remote Simpson Desert Madigan Line. John Cantrell, your tour leader, is no stranger to organising and leading 4wd tag along trips to very remote regions, including several trips, each of several days, into extended sections of the North Simpson Desert where no vehicle had ever been before, an amazing, and certainly unique, opportunity. 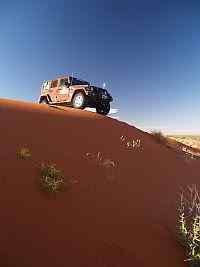 So you have probably arrived on this web page because you are interested in doing a 4wd tag along tour through the Simpson Desert. You have choices - you can join a Simpson 4wd tag Along that does what everyone else does and goes to where everyone else goes, and have been doing for decades, the same old, same old. 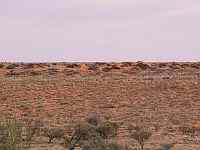 Or you can be different, see a part of the Simpson Desert that none of your friends are likely to have ever been to, most wouldn't even have heard of it. This trip is also through the Simpson, so you can still tick the box, but the very remote northern section of it, relatively very, very few will ever have the opportunity of seeing this amazing part of the country. The Madigan Line runs north of, and parrallel to, the conventional, mostly taken and sometimes traffic congested route along the French Line and the QAA Line. We will follow the route taken by Cecil Madigan in 1939 as he crossed the northern section of the Simpson Desert from west to east, using camels as transport, and from Old Andado to Birdsville. There are very few organised 4wd tours through this area and July 2017 and 2018 will see us run the best value of the lot by far, as was our 2016 trip. 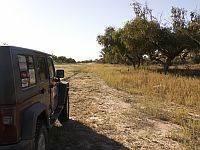 Australian 4x4 Tag Along Tours are low on rules and regulations and high on being relaxed, having a holiday, meeting other great people, seeing special parts of Australia, doing great 4wd driving and enjoying yourselves and having a memorable time. All of our 4x4 tag along trips, tours and training are run by the owner of this business, John Cantrell, who has a lifetime of 4wd experience, both in Australia and overseas over many decades, runs one of the leading, nationally accredited, 4wd driver training businesses in NSW and is committed to ensuring that you get the best possible experience from your trip, and the best value for your money. John is also one of New South Wales leading 4wd driver trainers and is a Registered Training Organisation delivering Nationally Accredited training. So if you haven't done much 4wd driving in the past you will be in good hands. Australian 4x4 Travel is an Australian Tourism Accredited Business and Licenced Tour Operator. Starting in the morning on day one from the Marree Hotel in Outback South Australia we travel west for a while through to Oodnadatta, visiting Lake Eyre South and William Creek along the way, before heading north towards Dalhousie Ruins and Dalhousie Springs, where we will have a chance of taking a dip in the ever warm mound spring if you would like to. Dalhousie Springs are the start of the conventional west east crossing of the Simpson Desert when heading for Birdsville via Purni Bore. Instead of heading east into the Simmo from here, as the majority doing a desert crossing would be doing, we will continue north for a couple of hours. Our destination for the day - the iconic Mt Dare Hotel, hot showers, a camp for the night and a meal and beverage in the hotel if you would like to, or cook your own, your choice. We are always looked after very well at Mt Dare Hotel. On several of the nights during the trip there will be the opportunity to eat out at the local hotel, all of which are iconic in one way or another, but this is entirely your choice and you are welcome to cook for yourself if that is what you prefer. On leaving Mt Dare Hotel we will be heading almost north for a bit longer to Old Andado. Here we will have a chance of visiting Molly Clark's old homestead before heading east and embarking on the remotest part of our trip, the Madigan Line. Molly Clark, owner of the only freehold property in the area, Old Andado, was a legend in these parts and when she passed away a few years ago she left her property in trust for future generations to visit, an amazing gesture from an amazing lady who must have done it very tough for much of the time. So for some days we will head east along some tracks that at some times may not be that well defined, if defined at all, we will be on the leg of the trip with the longest distance between fuel bowsers, a little short of 800 km. We will be following the route taken by Cecil Madigan in 1939 as he surveyed this region of the Simpson Desert from west to east using camels as transport and establishing camps along the way on his journey to Birdsville. At camp 15 we intercept the north south running Hay River Track, one that Australian 4x4 Travel has done many times before. We head south for a short distance along the Hay River Track, as it heads for its end at the now abandoned Beachcomber Oil Well north of Poeppel Corner, as we head of east again at Madigan Camp 16 and the Blaze Tree towards the ultimate detination for our desert crossing of Birdsville. 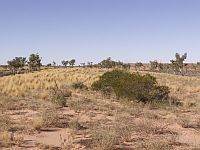 In the event that there is no access through Adria Downs Sation the trip will continue down to Poeppel Corner from Camp 16 and then along the QAA Line into Birdsville rather than through Adria Downs. Yes after several days you will enjoy a hot, endless, shower and cooked food if you would like to at the so well talked about Birdsville Pub or Birdsville Bakery, both of which, also, look after us very well. You must try a Birdsville Bakery breakfast, I'll say no more except to say they are fantastic. Along the way from the Hay River Track to Birdsville we will have fun, our route towards the eastern end of the Madigan Line takes us from the northern end of Eyre Creek south and through private property to the junction with the QAA Line and a direct route, and stones throw drive, into Birdsville. We have Big Red, officially called Nappanerica Sand Dune, on the way, which, once crossed, will see us less than an hour from Birdsville. Big Red, the last sand dune at the eastern fringe of the Simpson Desert before Birdsville and one that most battle with, the one that many come here to conquer from all parts of Australia, and quite a few don't. You will almost certainly give it a go, maybe even a few goes, but there are easier ways up if you decide that that is the option for you. Our Australian 4x4 Travel 4wd Madigan Line, Simpson Desert Tag Along has reached the end of the remote desert crossing, we will now start seeing more people and vehicles as we continue east and into New South Wales. 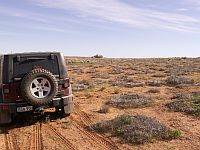 Now our Simpson Desert Madigan Line 4wd Tag Along now travels from Birdsville to Innamincka. 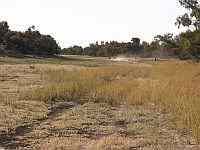 Innamincka is situated on the amazing Cooper Creek. Perhaps I have it wrong, although I have never met anyone who has disagreed with me, but this place is an amazing oasis in the middle of one of the harsher desert regions around. North of Innamincka are the magnificent Coongie Lakes, a group of 25 or so lakes centered around the main lake, Coongie Lake. 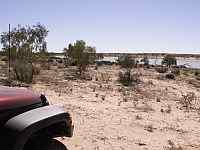 Innamincka is not only the gateway to Coongie Lakes, about 100 km north, and a days drive return, but is also host to a raft of history involving the Burke and Wills ill fated expedition from Melbourne to the Gulf and back. Without giving too much away before the trip Burke and Wills lost their lives in this area on the return leg of the expedition. It seems almost unbelievable that someone could virtually starve to death in an area with water, fish and an abundance of wildlife but Burke was a stubborn and arrogant man who refused to have anything to do with the local Aboriginals who had offered them help. Burke died first then Wills, who obeyed Burke's dying command that help must not be accepted from the locals, leaving the sole survivor of the expedition of four, John King, who did accept local help and was rescued by a search party from Melbourne some six months later. A trip into this region wouldn't be complete without a stop at Cameron Corner, stand in three states at the same time, New South Wales, Queensland and South Australia, in fact you can drive through the three states in literally a few minutes. We will almost certainly camp at Cameron Corner. Their meals are good, the camp site is good and you may even decide to play a game of golf that spans three states in the one game. By now we are on our last day as we head through the Sturt National Park towards Tibooburra and Milparinka before our journey ends at White Cliffs and the chance to experience sleeping underground, this is probably one of those things you should do at least once but if you would rather not there are other alternatives such as camping in town or maybe even pressing on a bit further towards home. Australian 4x4 Tag Along Tours supplies a support vehicle fully equipped with recovery equipment, up to date satellite phone, GPS tracking equipment, Emergency Locator Beacon and first aid equipment.